How Does Cooking With Unfiltered Tap Water Affect Your Food? Water is essential for every living being but it does more than just keep your body healthy and alive. You use water for washing, cleaning and even preparing your food; it may make you wonder just what is in it. There are thousands of households in the country that already use a water filter. You may think this is an unnecessary expense but the latest research raises questions regarding whether your drinking water is safe or contaminated. You can find out more about the different types of water filter available here. Even some of the households that have water filters only use this water for drinking. This may be because of where the faucet is situated or because people have only one filtered water point and simply forget when they are cooking. After all the water is generally boiled when cooking. Unfortunately this isn’t enough. There are several affects your unfiltered tap water can have on your food and ultimately your health. Chlorine in a gaseous form can get into your lungs and cause breathing issues or even choking. While it will not usually convert to gas in your home it is possible that the chlorine in your water can give you chest pains and respiratory issues. Your eyes are essential and surprisingly sensitive. When you cook the chlorine can get into your eyes making them irritated; they’ll often start to look red. Simply consider the effects of swimming regularly in a pool and you’ll understand how chlorine can affect your eyes. Not all bacteria are killed by chlorine. E-coli is one example of bacteria that can survive in chlorinated water. Considering that when cooking water isn’t always boiled and you’ll realize that your water could be seriously damaging your health. E-coli can make you seriously ill in a very short space of time. Chlorine and the other chemicals that are used in water will affect the taste of your water and the food you are cooking in it. You won’t appreciate the taste of your water until you use a water filter and realize how different it is. The latest research shows that salt and chlorine do not mix well together. If you add salt to your cooking then you’ll be creating a chemical reaction which causes the development of hypolodous acid. This is not actually detrimental to your health. But, it can mix with some food types to create Iodinated Disinfectant Byproducts. This can have a negative impact on your health although research is still ongoing into the exact effects. 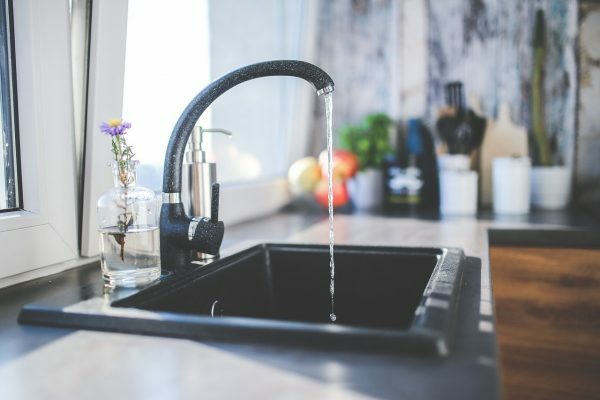 Chlorine and fluoride are most commonly spoken about when looking at water treatment but there can be as many as 2,000 chemicals added to your water supply. Many of these have been determined to be carcinogens; this means they’ll increase your risk of cancer. Having a water filter suddenly makes a lot of sense.